Shuzenji in Izu City, Izu Peninsula, is witnessing a fast resurgence of its tourism, what with the increasing influx of overseas tourists and the Olympics looming large over the whole Peninsula. Accordingly local products tend to reflect the local history and folklore more and more for the pleasure of visitors. 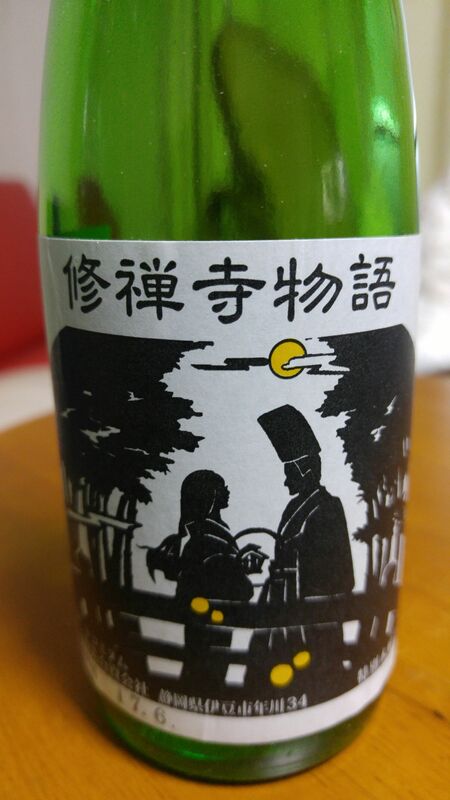 Bandai Brewery, the only sake sake brewery in the Peninsula has come out with a brand of its Tokubetsu Honjozo with the name of Shuzenji Monogatari/Shuzenji Story! Lingers for while warming up the palate before departing on note of drier plums. 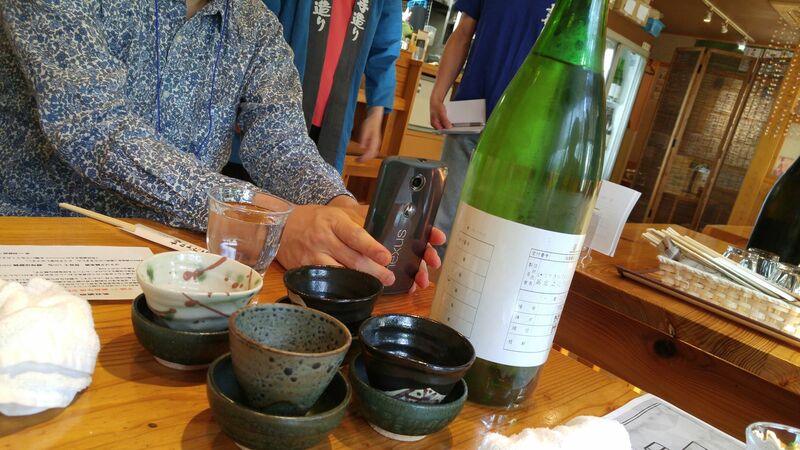 Overa;;: solid, dependable and straightforward sake conceived to accompany food. A lit unusual for Shizuoka for its old fashioned approach. Will make for a nice souvenir back home though. Recommended pairings: Japanese yam salad, onsen tamago:hot spring eggs, marinated oysters. 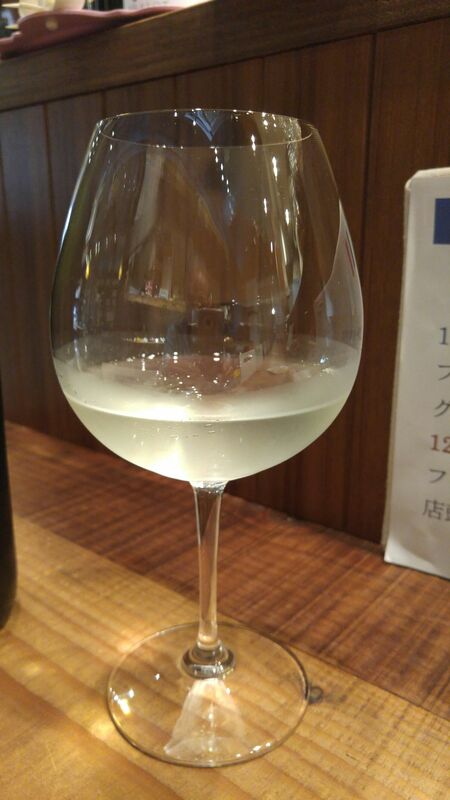 Shizuoka Sake Tasting: Hatsukame Brewery-Daiginjo Genshu “Ai”! The other day I had the rare pleasure to visit again Hatsukame Brewery in Okabe Cho, Shizuoka City in the company of a professional farmer consultant from the USA! 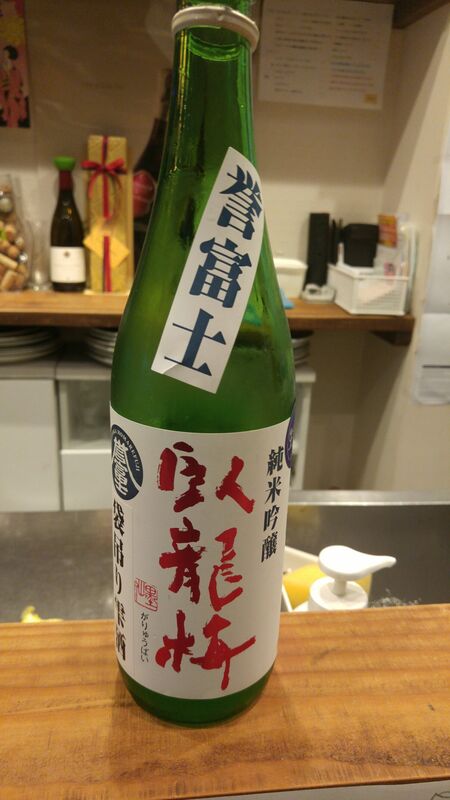 Hatsukame Brewery has a special place in my heart for many reasons: it is the oldest single family-owned Sake brewery In Shizuoka City for more than 380 years! Interestingly enough it used to be located in the very center of Sumpu City (the old name of Shizuoka City) before moving to its present location during the Meiji Era! I must admit a special treatment has always been offered to me and my visiting friends and I dare not reveal what presents and services I have been granted there! 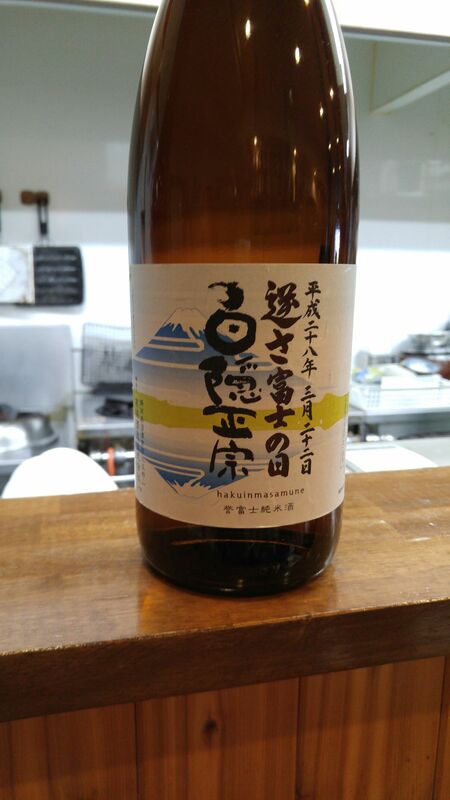 This Daiginjo Genshu (no water blended in) called “Ai” (“Love”) was brewed before Hatsukame Brewery switched from Noto Master brewer to a young talented one from the Nanbu School in Iwate Prefecture! Tasting: dry, smooth, deep and very fruity attack. Lingers for a while before departing on more fruity notes of strawberries. Very pleasant alcohol all the way through, warming back of the palate. Turns drier with food with liquorice and mandarines making a late appearance. 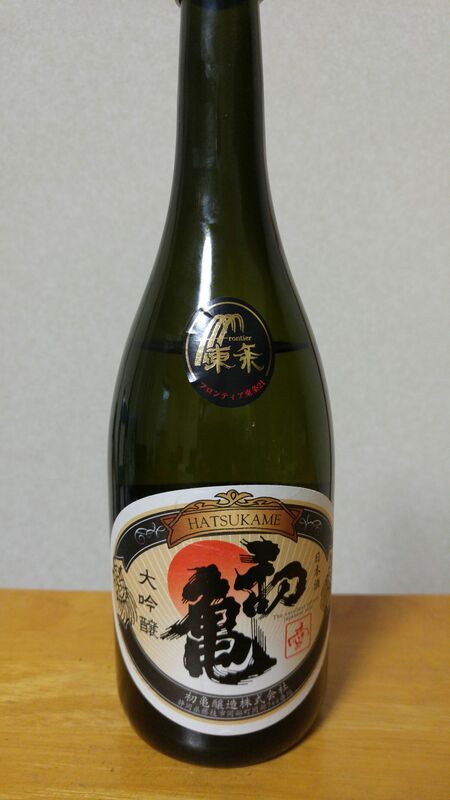 Overall: elegant and extravagant sake very much in the tradition of Hatsukame Brewery! Very smooth in spite of its high alcohol contents. Continuously entices to the next cup. At its best on its own slightly chilled, although marries very gracefully with almost any cuisine. Gentlemen will fight for it, but ladies need not worry about the high alcohol contents! Makes for the perfect digestif in special company! Recommended pairings: terrines, dry cured ham, cheese, smoked duck. 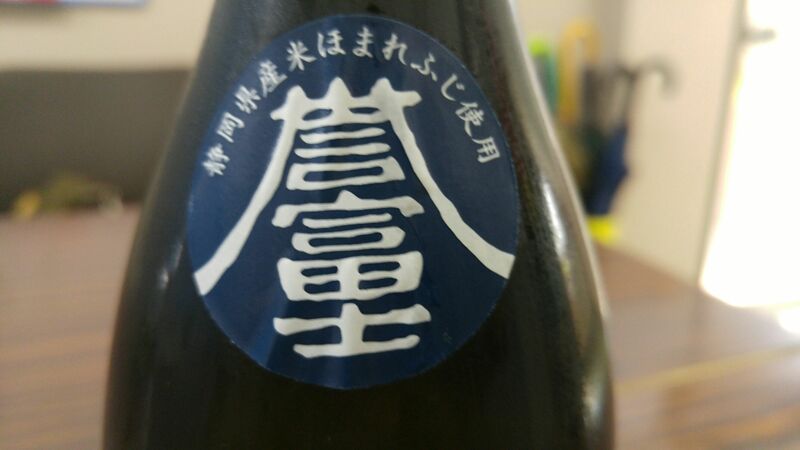 The other day I had the surprise to discover a One Cup sake by Fujimasa Brewery which is located in Fujinomiya City, a long way from Shizuoka City! Interesting and very macho name: Genkotsu, that is “The Fist”! Incidentally this is a honjozo! Taste: very dry and smoky attack. Pleasantly warms back of the palate. Lingers for a while before departing on a softer note of dry oranges and more plums. Tends to turn even drier and smokier with food. Late appearance of chestnuts and bitter chocolate. 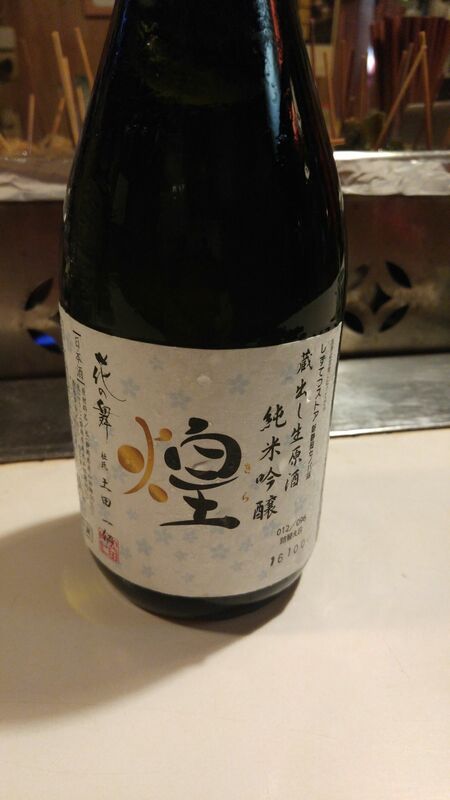 Overall: as expected a sake fit for men’s taste although I don’t doubt many members of the so-called weak gender will appreciate its uncompromising dryness and smoky oaken notes! Great with a hot meal! Suggested pairings: yakitori, oden, stews, cheese. 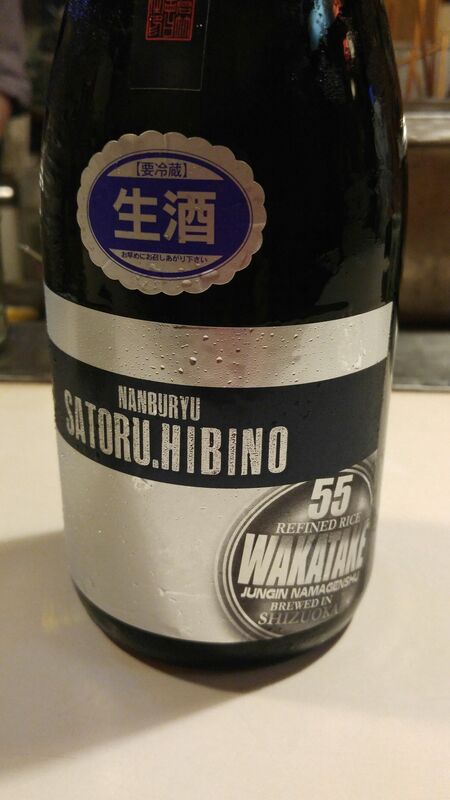 I just had the opportunity to taste a very unusual, that is for that establishment, by Hana no Mai Brewery in Hamamatsu City, in my usual not so secret lair! The name, ”煌”/”Kira”, could be roughly translated as “bright” and is increasingly used in names. 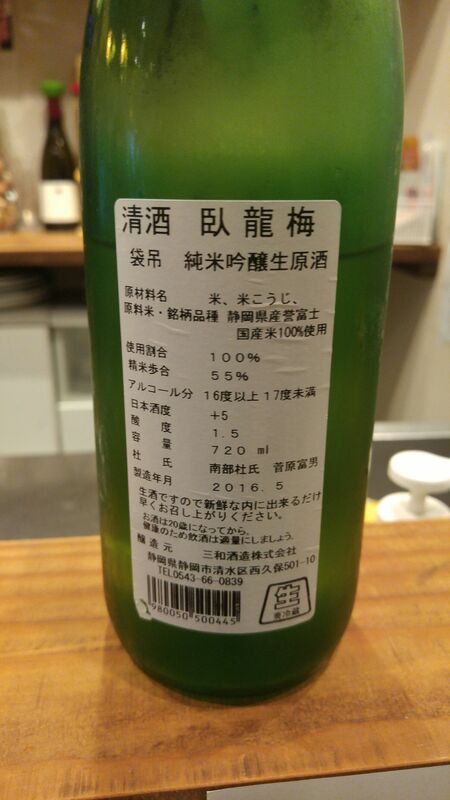 The sake was sold in Cenova Department Store, Shizuoka City, not in the bottle, but from a tank into a bottle to be closed in front of the customer! 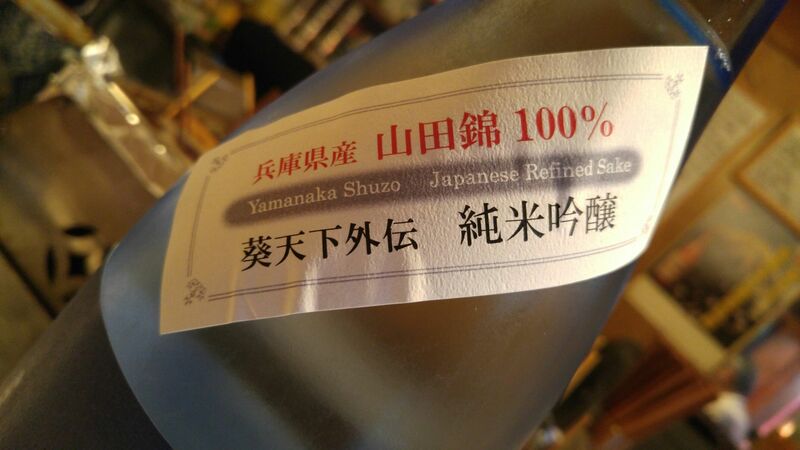 It is a junmai (no pure rice alcohol blended in) ginjo nama (unpasteurized) genshu (no pure water blended in! 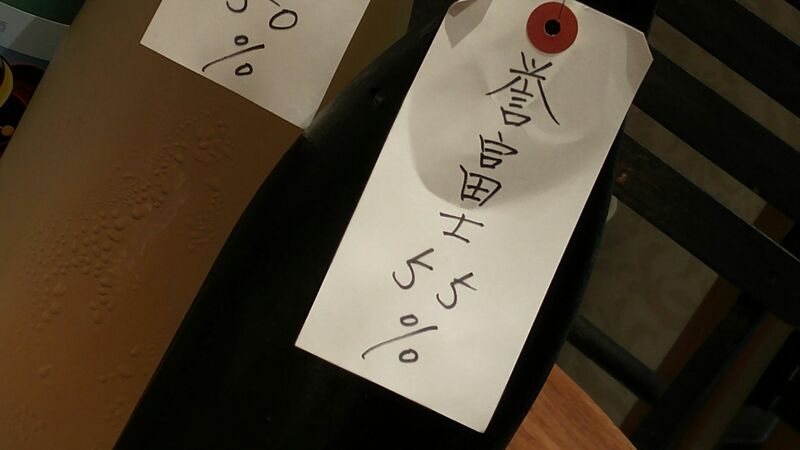 Taste: dry and fruity attack backed up by puissant junmai petillant. Complex: dry plums, pears, dry custard. Lingers for a while warming up the palate before departing on notes of chestnuts, sweet oranges and dry sweet potato. Varies little with food but for a drier note. Turns a little sweeter with rise in temperature with sweet potatoes taking the lead. 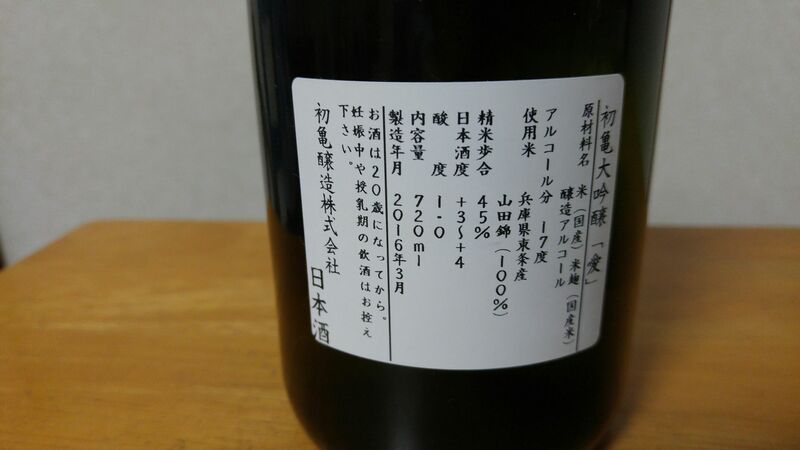 Overall: a very unusual sake for Hana No Mai Brewery, which should actually appeal more to adults thantheir usual brews. Best enjoyed slightly chilled on its own. Would make a superlative aperitif! Suggested pairings: grilled fish, yakitori. 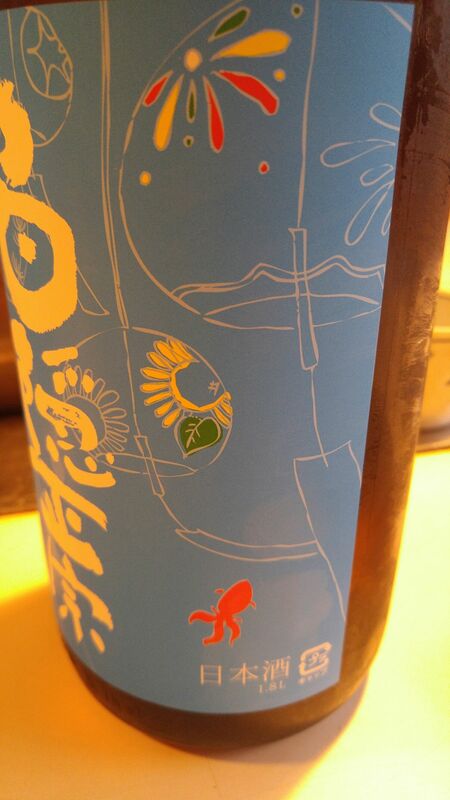 This time we tasted a nectar produced by Sanwa Brewery in Shimizu Ku, Shizuoka City! As usual it bears a long name! 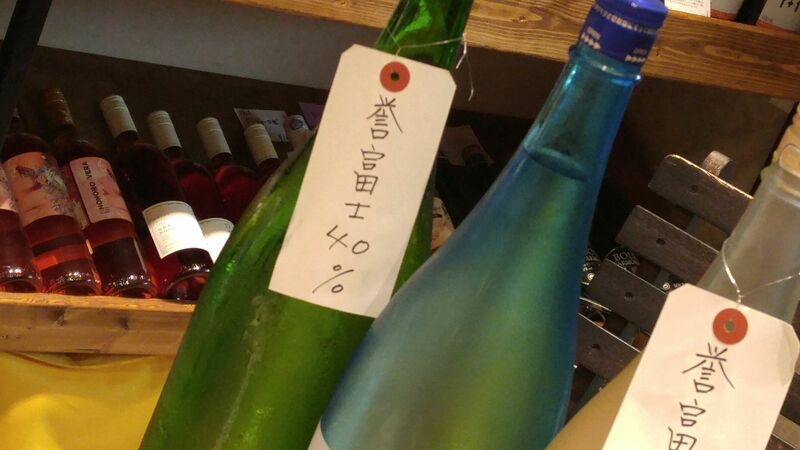 Fukurotsuri Shizuku (the sake is filtered through a suspended cloth bag drip by drip) Junmai (no pure rice alcohol blended in) Ginjo Nama (unpasteurized) Genshu (no pure water blended in) Homarefuji (sake rice grown in Shizuoka Prefecture)! 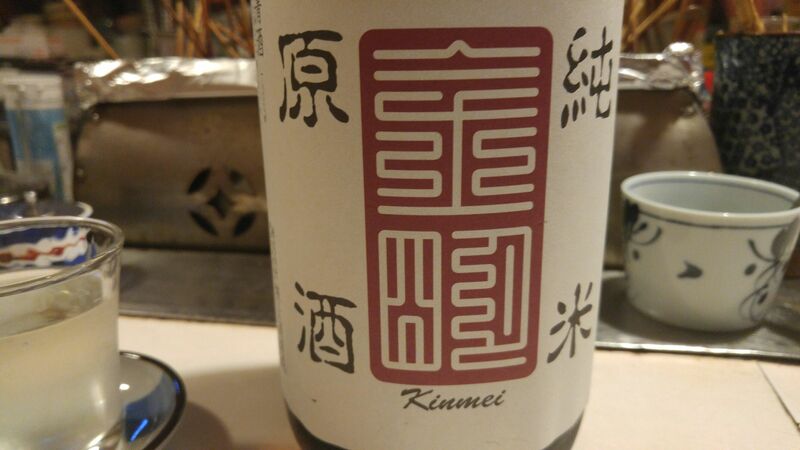 Taste: dry and vegetables backed with puissant junmai petillant. Complex. Lychees, faint dark chocolate, star fruit. Lingers for a while before departing on more notes of sweet and sour vegetables. Ends up more complex and dry with rise in temperature. 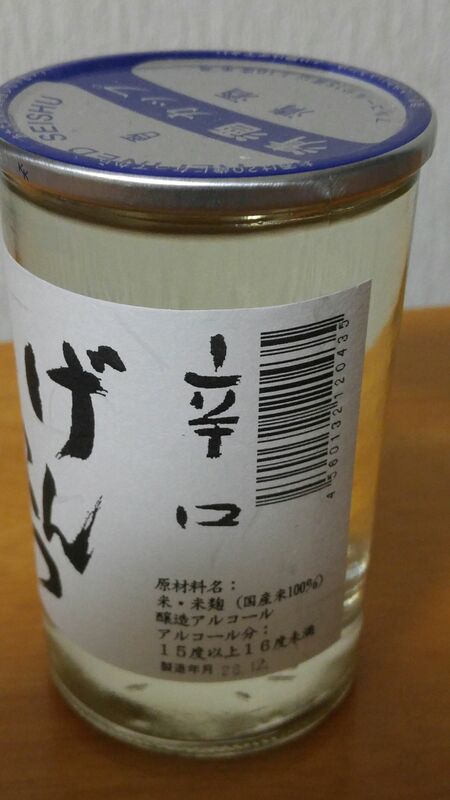 Overall: a very unusual sake, difficult to classify and the more intriguing for it. Taste it first chilled to later discover more and more new facets with rise in temperature. Suggested pairings: Vietnamese and Chinese cuisines, mabodofu, dry curry rice. 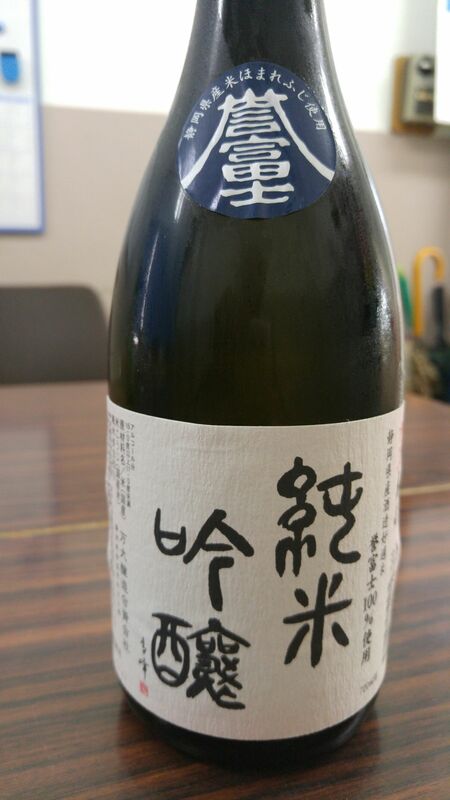 It is the time of the year when Sanwa Brewery in Shimizu Ku, Shizuoka City puts out its summer limited sake! 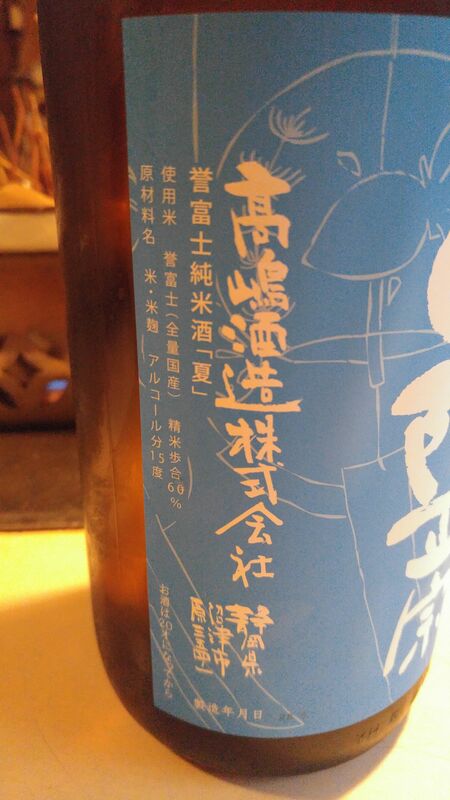 “Ryoofu Kashu/涼風夏酒”, that is “”cool wind, summer sake”! 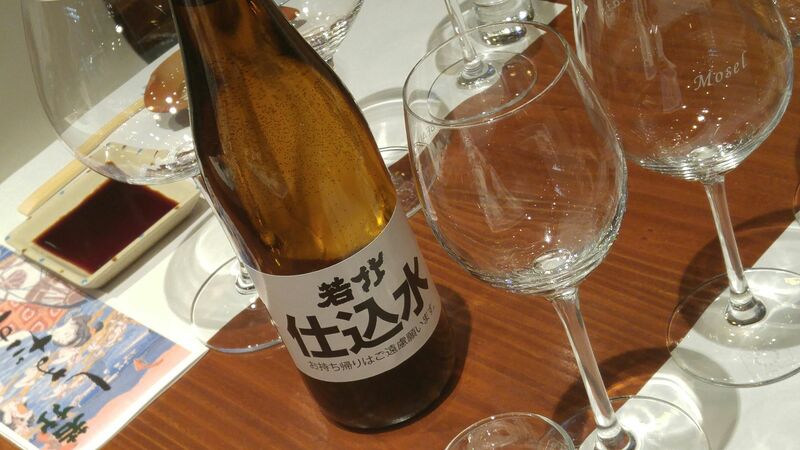 Taste: strong, dry and fruity attack backed up with puissant junmai petillant. Lingers for a short while on palate before departing with dry notes of apricot, banana and flowers. Tends to show more facets with further sips such as faint coffee beans. Peaches and plums will appear with rise of temperature. 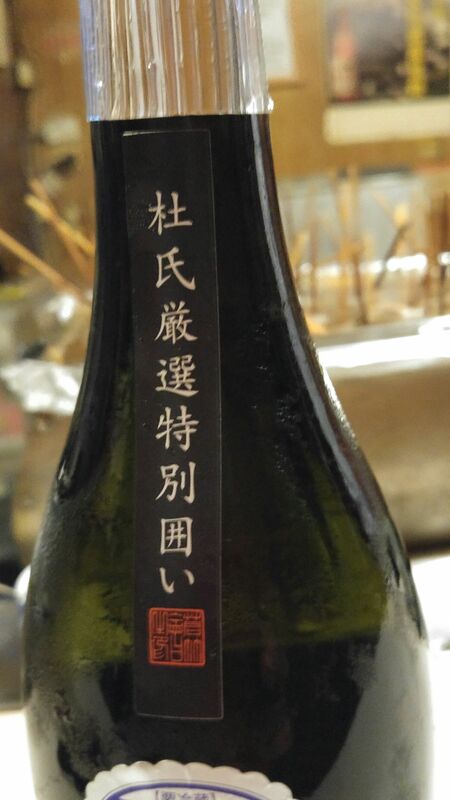 Overall:: very dry and elegant sake. Drier and more masculine than usual although ladies will also appreciate it. Can be enjoyed at any temperature on its own or with any food. 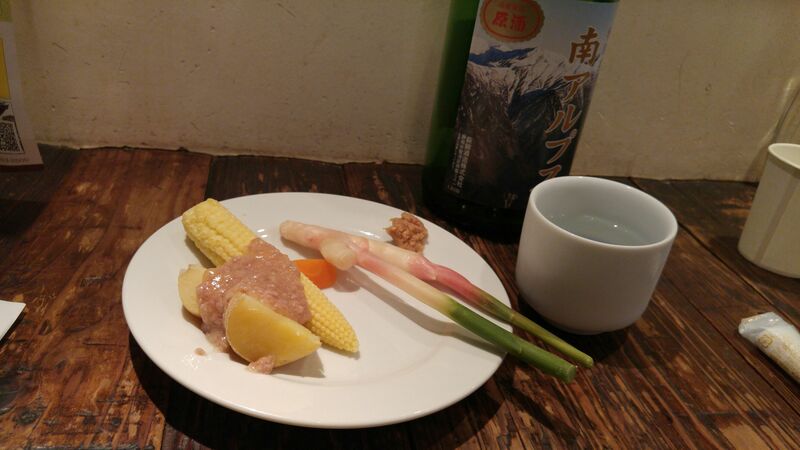 Suggested pairings: salads, asparaguses, oden. Bandai is a very old brewery located in ancient hot spring city of Shuzenji now merged to Izu City in the centre of Izu Peninsula. As Bandai Brewery it is not the oldest brewery in the Prefecture but it has existed under other names for more than 500 years! 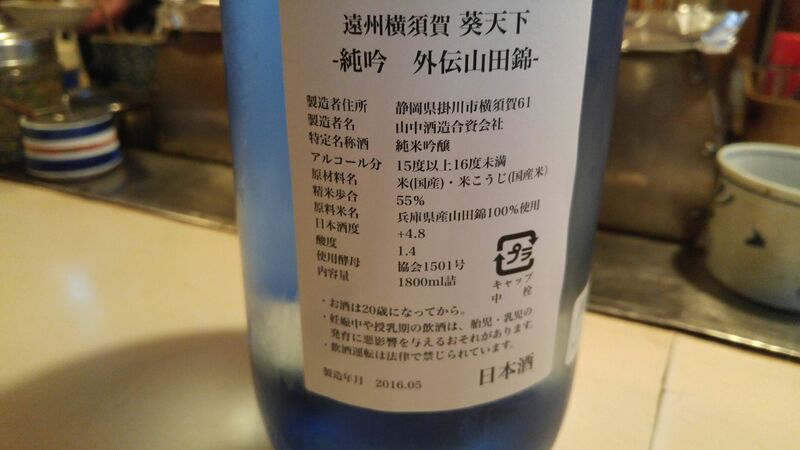 In spite of being the sole brewery left in Izu Peninsula somewhat isolated in Shizuoka Prefecture, making it difficult to find their bottles, it keeps abreast of modern ideas and has used Shizuoka-grown Homarefuji sake rice for some time. 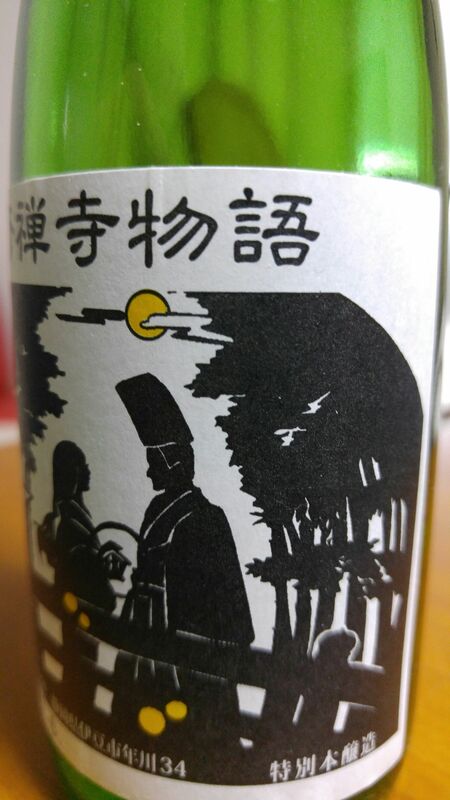 The name of this particular brand, “Banyou/満燿” is linked to the origin of the brewery back in 1497 as mentioned by Houjyou Souun/北条早雲, himself a native of Izu Peninsula! Aroma: discreet, dry and fruity. Melon. 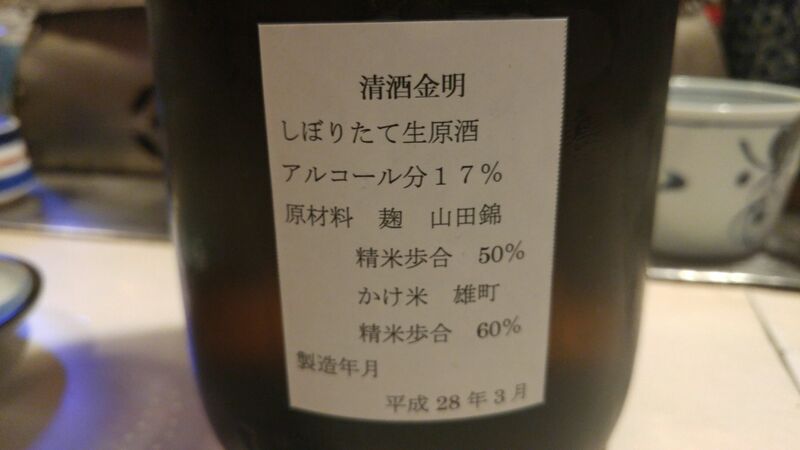 Taste: very dry and fruity attack backed up by puissant junmai petillant. Lingers for a while on the palate before departing on a drier note of muscat and nuts. Sweetness will increase with temperature along the discovery o more “facets”. Overall: A bit of a discovery although I have known the brewery for quite some time. Ought to be better known in spite of the distance to travel to Shuzenji. Can be enjoyed on its own or with food at any temperature. 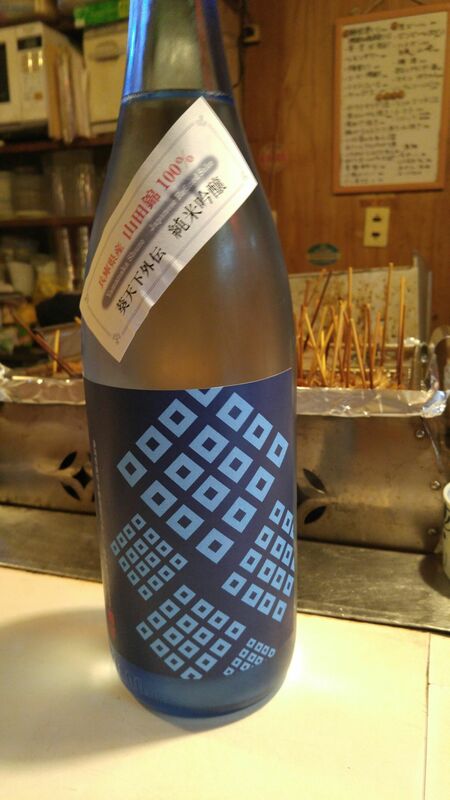 On Sunday May 22nd, I had the occasion to taste again a great nectar by Eikun Brewery from Yui, Shimizu Ku, Shizuoka City, at another famous izakaya in Shizuoka City, Kodarumatei, which took part in the annual Shizuoka De Hashigo Sake event! 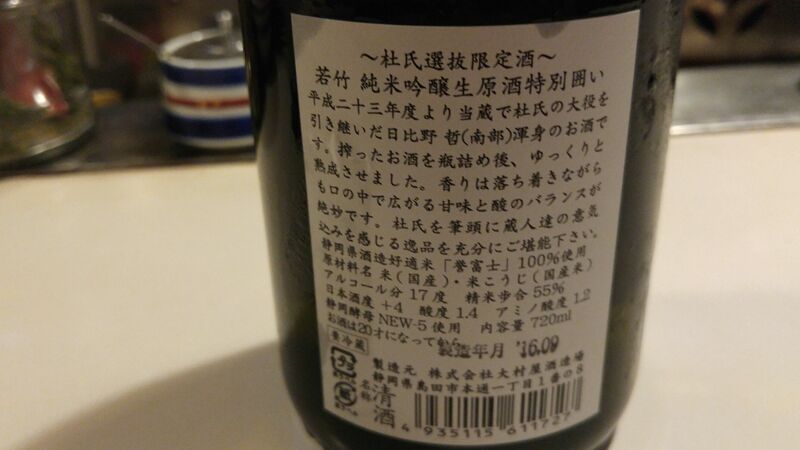 Actually the bottle did not bear an official label although all needed information was printed on stickers! 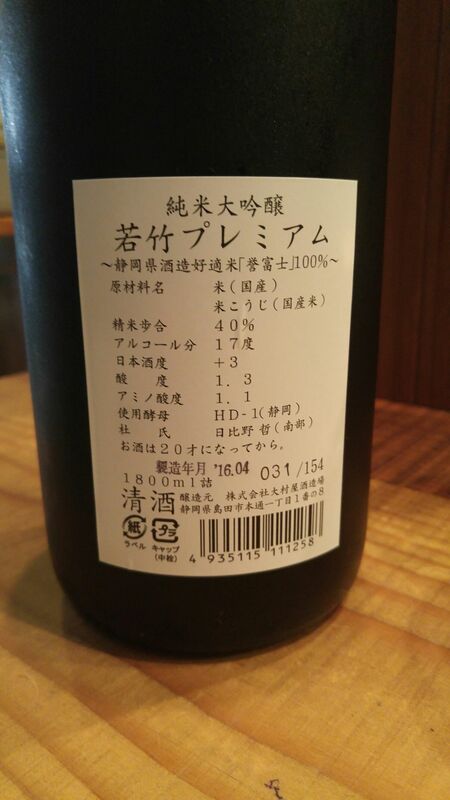 Taste: almost sweet and fruity attack backed up with puissant junmai petillant. Complex: dry bananas, coffee beans, dark chocolate. Lingers for quite a while on the palate before departing on notes of dry greens. Turns dry with food with more notes of greens. 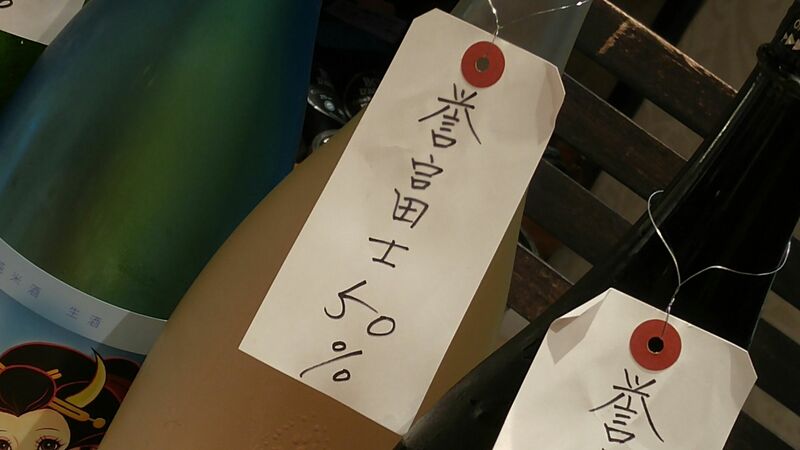 Overall: elegant and almost feminine sake. 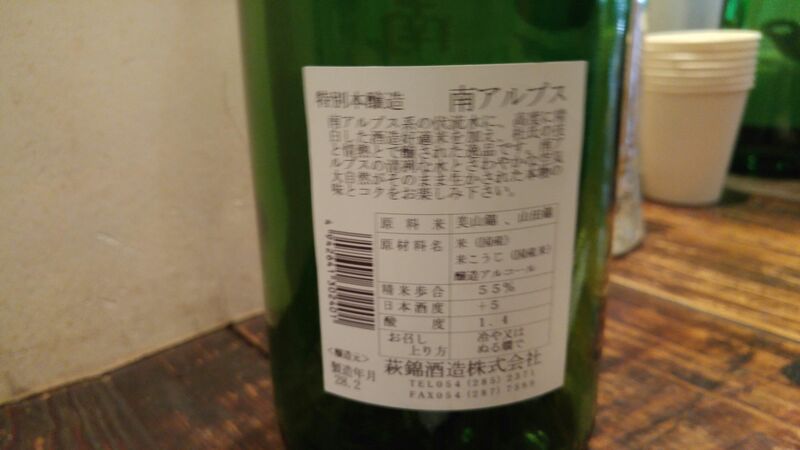 Sweeter than Shizuoka standards and so easy to drink. 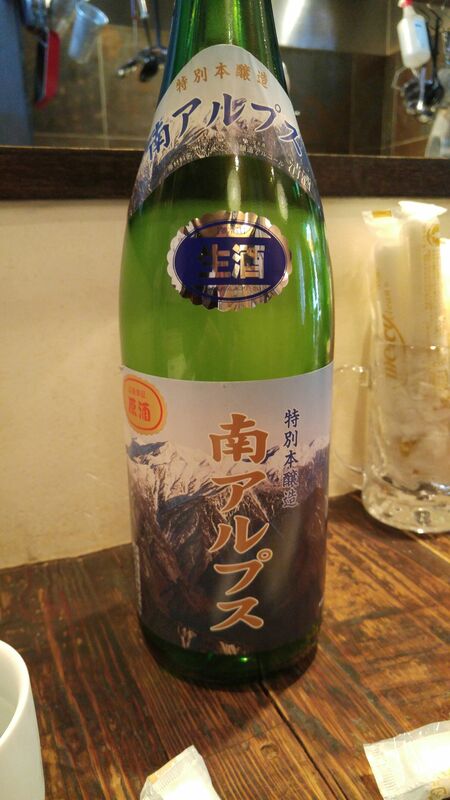 A sake for all seasons. Suggested pairings: shrimps and seafood, smoked duck, crab salad. 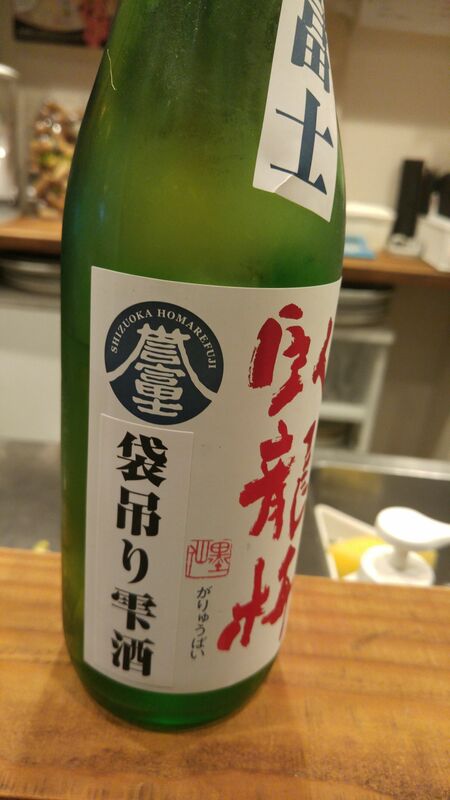 On Sunday May 22nd, I had the occasion to taste for the first time in a long time a nectar by a Shizuoka City brewery, Haginishiki Brewery, at a famous in Shizuoka City, You-to, which took part in the annual Shizuoka De Hashigo Sake event! 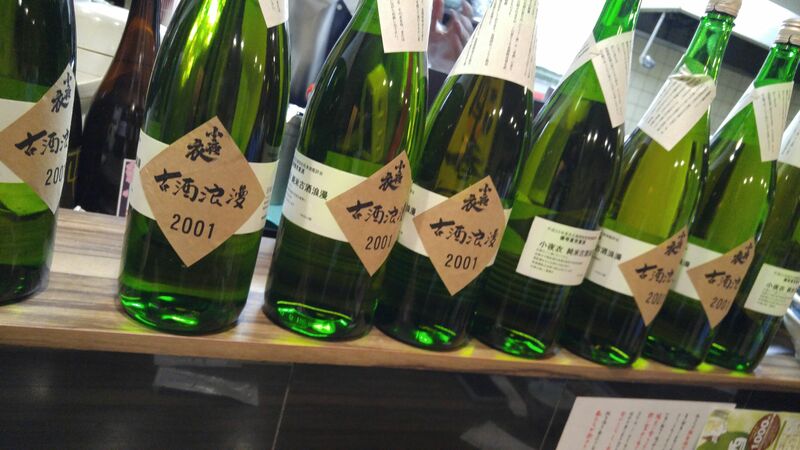 It was a rare and very limited sake as You-to as You-to master, Toushirou Yamaguchi, confirmed he barely obtained the last 3 bottles just in time for the event! 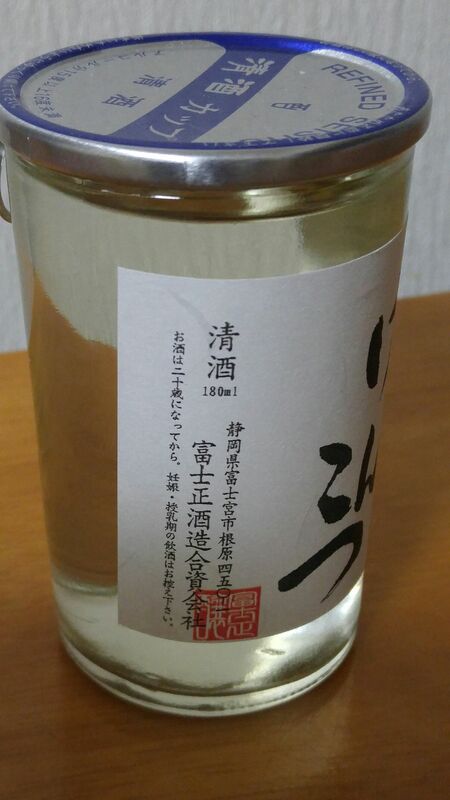 It is an “arabashiri” style, meaning the first press unfiltered. Taste: Strong and almost sweetish attack. Complex: white lees, bananas, melon. Lingers for a while before departing on a strong white lees note. 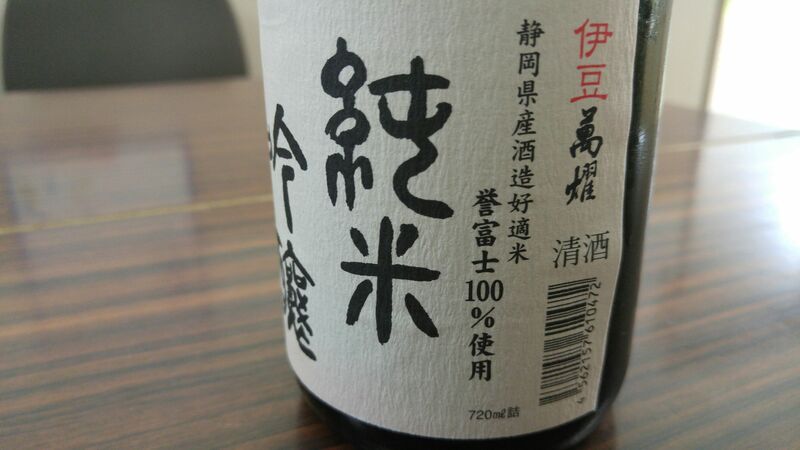 Overall: both a traditional and extravagant sake in spite of its modest arabashiri status. Very unusual by Shizuoka Prefecture standards. For light white lees sake lovers. 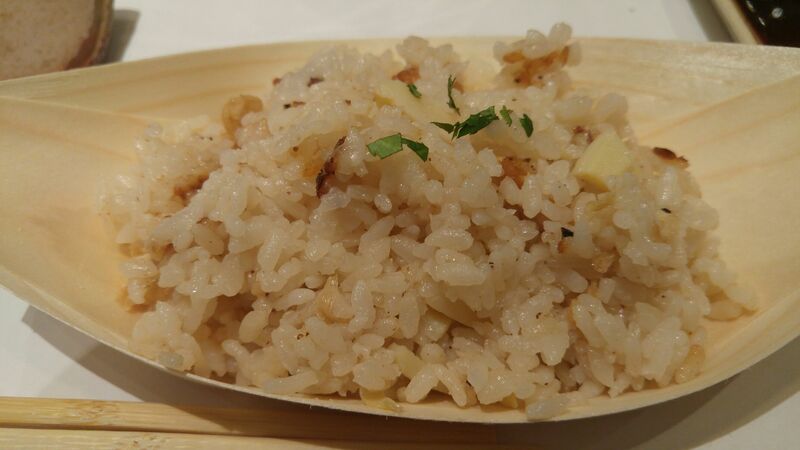 Perfect for izakaya cuisine of any genre! 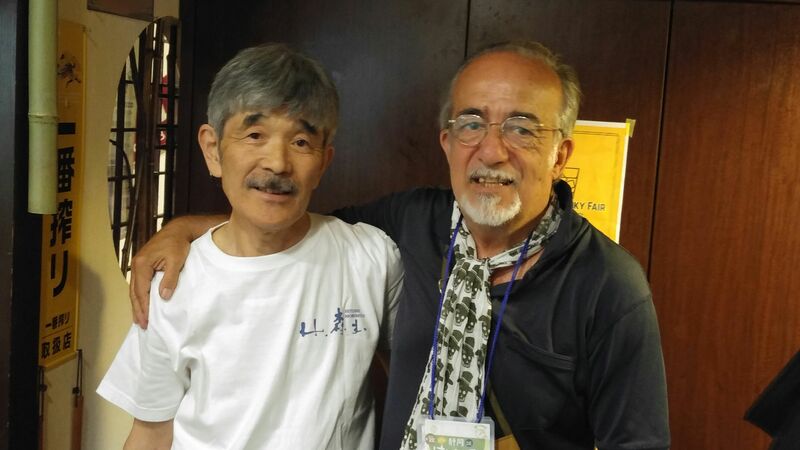 On Sunday May 22nd, I had the occasion to meet again an old friend, namely Hitoshi Morimoto, owner and master brewer at Morimoto Brewery in Kikugawa City at a great izakaya in Shizuoka City, Hana Oto, which took part in the annual Shizuoka De Hashigo Sake event! 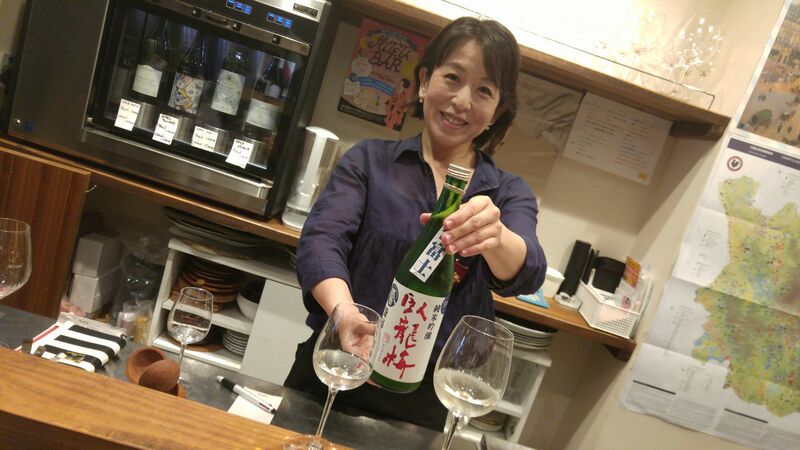 The sake served for this special event was a real and very gem, a koshu/aged sake brewed in 2011 and matured at room temperature. It goes without saying that you need incredible expertise and a lot of courage to create such a nectar! 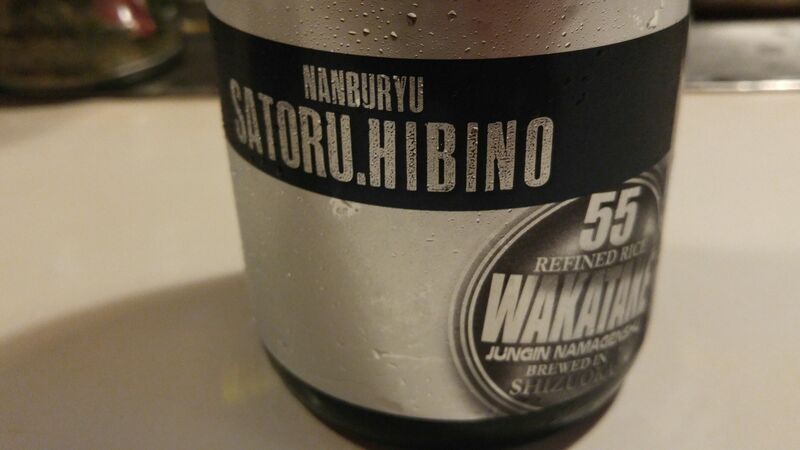 Taste: deep, fruity attack backed up with only a little junmai petillant. Lingers for a while before departing on drier notes of greens and more sherry. Varies little with food but a sweeter note of white sherry. Overall: simply extravagant and a very rare experience! 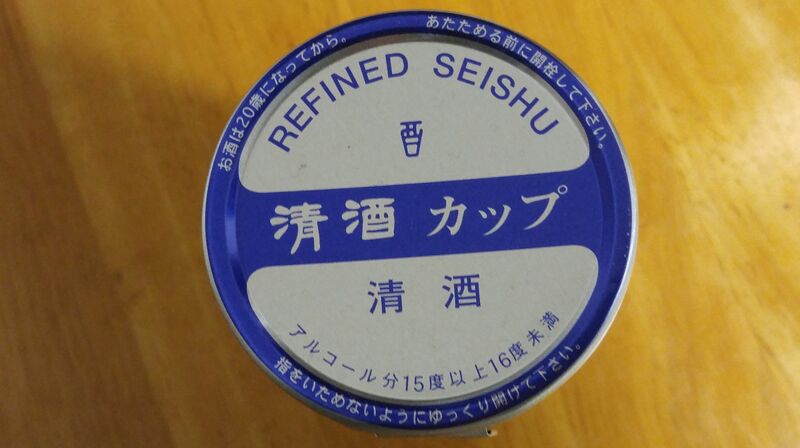 Absolutely splendid sake to be enjoyed as a sherry, either at room temperature or lightly warmed. 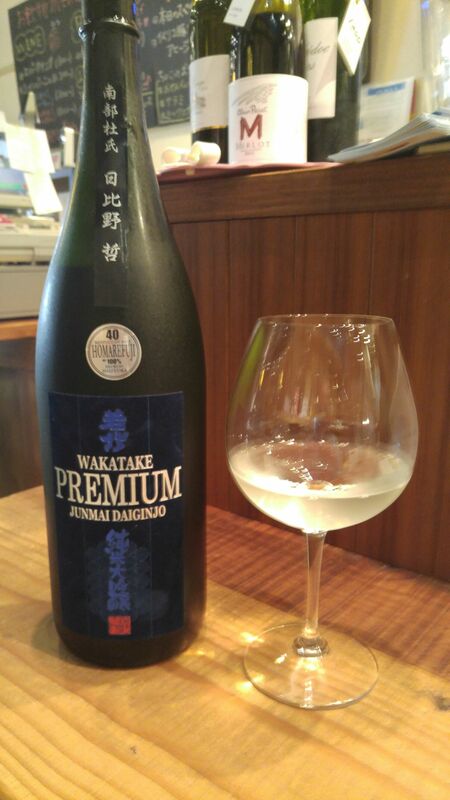 The kind of sake you appreciate like a fine sherry after dinner in special company! If you really wish to pair it, do so with roast beef, BBQ, yakitori and cheese! 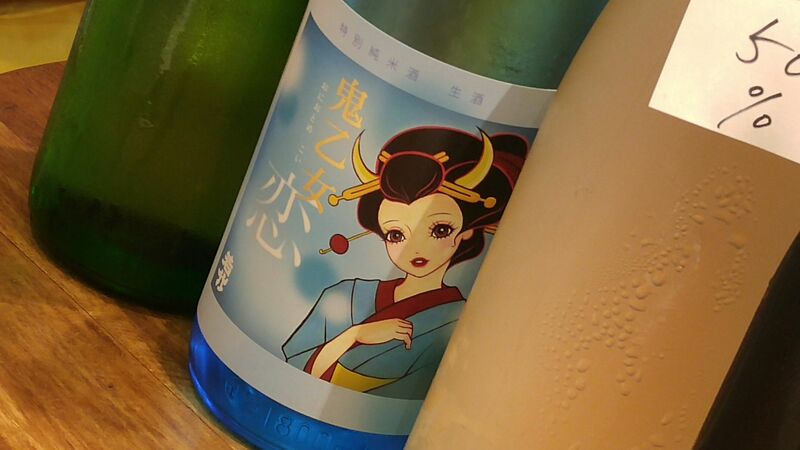 Our second tasting was the summer edition of the now famous “Oniotome/The Goblin’s Fiancee” seasonal series called “koi/Falling in Love”! 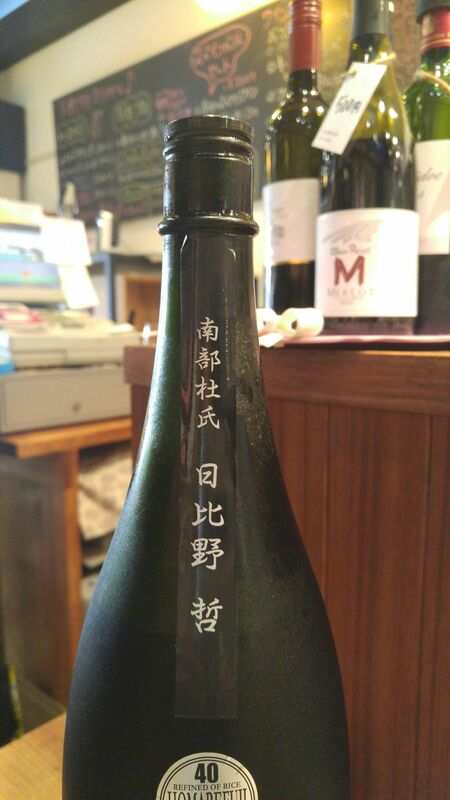 Taste: Dry and fruity attack backed up with pleasant junmai petillant. Very soft on the palate. Lingers for a while before departing on drier notes of oranges. Tends to get drier with food. 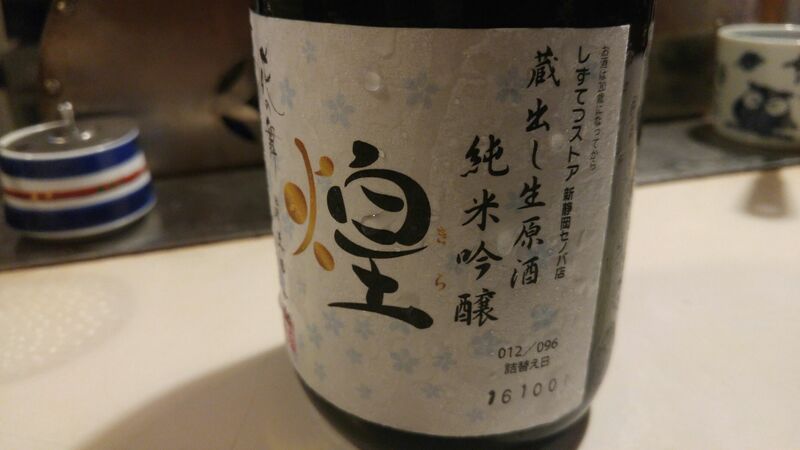 Overall: Another sake for all seasons in spite of the fact it is a summer edition! Best enjoyed on its own, although it will marry easily with food! 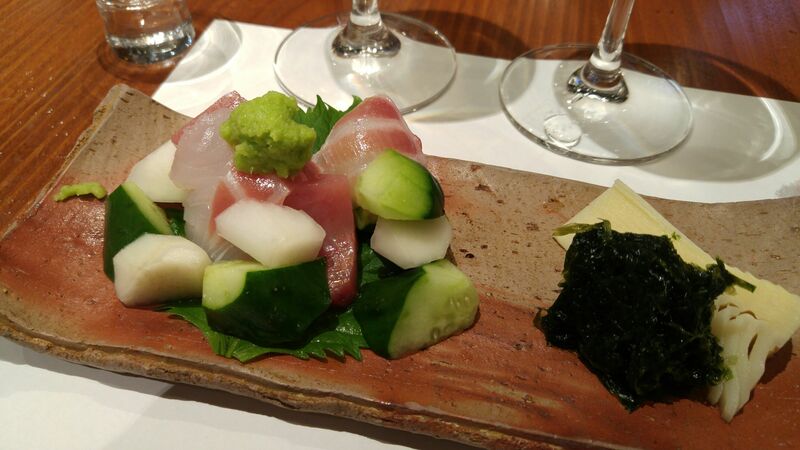 Suggested pairings: Sashimi, vegetable salads. 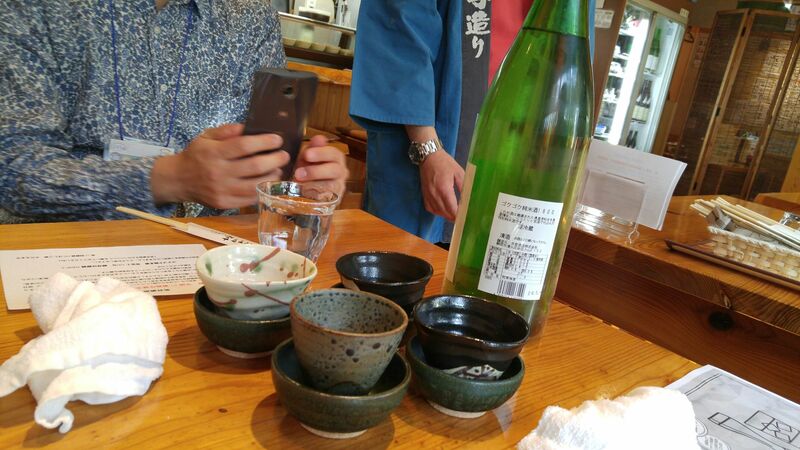 We started with the sake made with Homarefuji rice milled down to 40%! 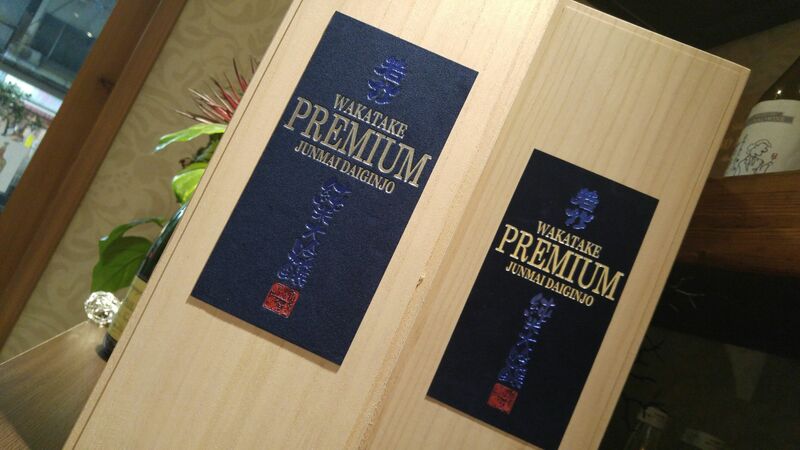 It is not actually on sale yet but will soon hit the market under the name of Wakatake Premium Junmai Daiginjo! 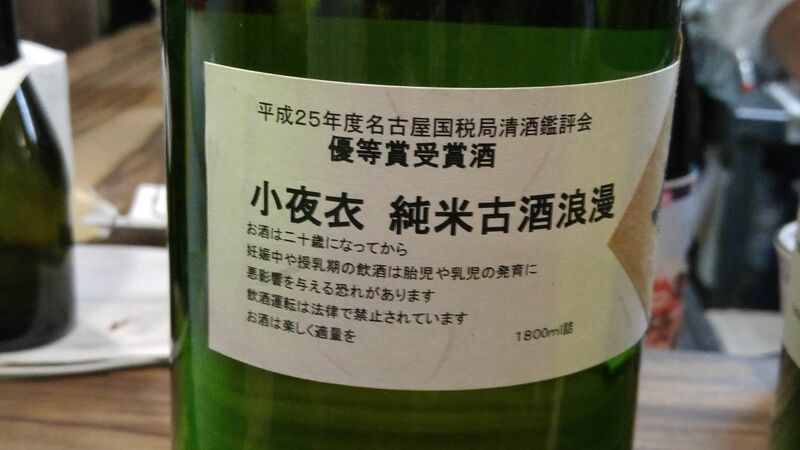 Incidentally this is the only Junmai Daiginjo made with Homarefuji Rice in Shizuoka Prefecture! Aroma: slightly sweet and fruity. Banana, melon, pears, lychees. Lingers for a short while before departing on notes of melon and soft lychees. 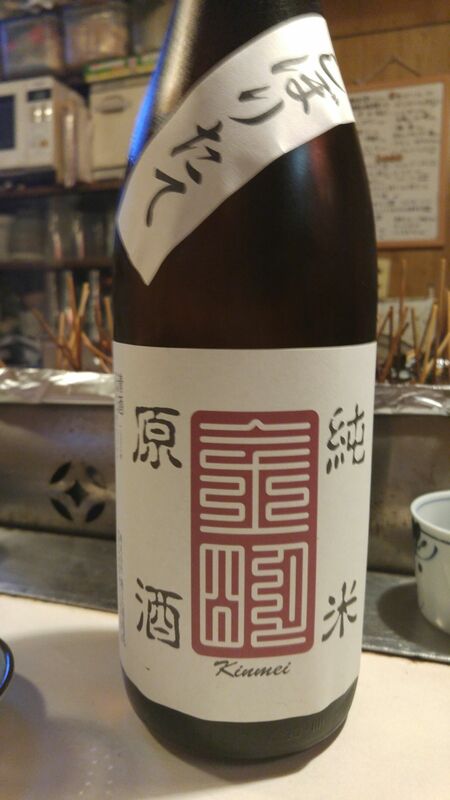 Overall: very elegant and intriguing sake! 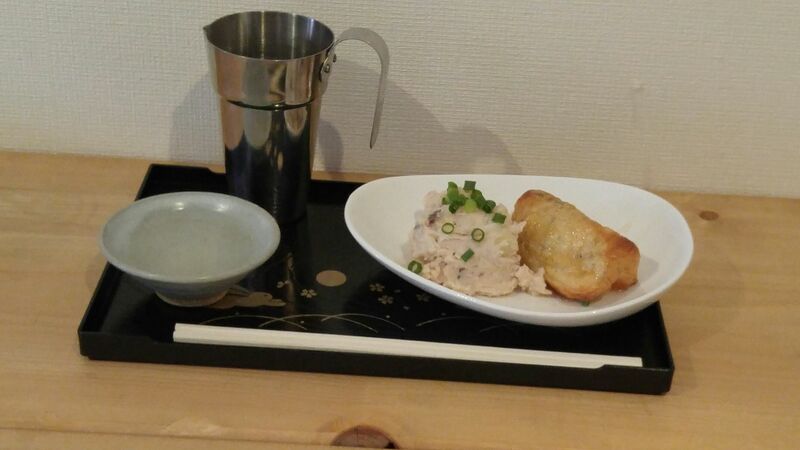 The kind of sake you shouldn’t bother eating food with. 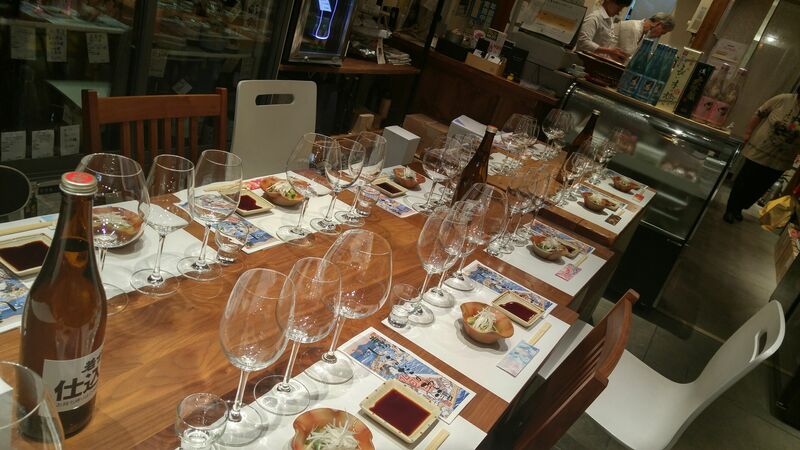 Oomuraya Brewing Sake Tasting Party at La Sommeliere in Shizuoka City! 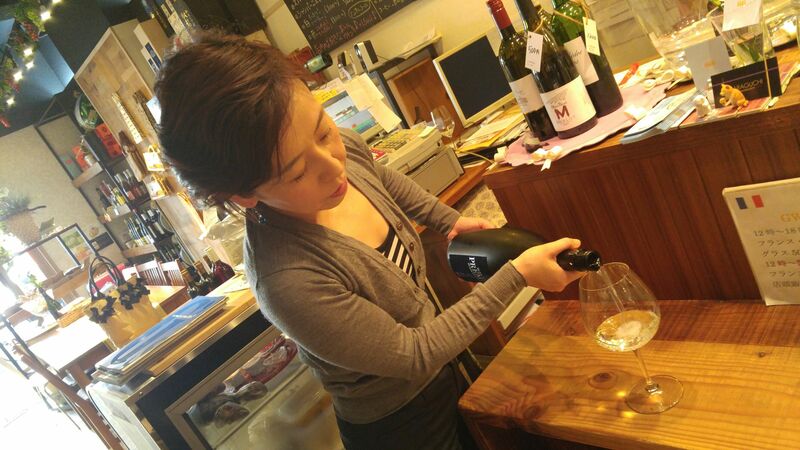 On Friday, April 22nd, was held a very special sake tasting in La Sommeliere, in Miyuki Cho, Aoi Ku, Shizuoka City! 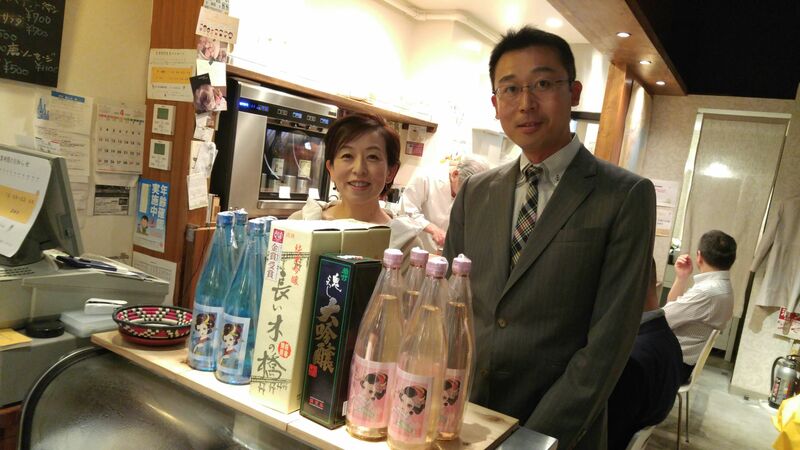 Oomuraya Brewery (Shimada City) Master Brewer, Wataru Hibino/日比野哲杜氏 had come to introduce 4 new sake all made with Shizuoka-grown Homarefuji rice! 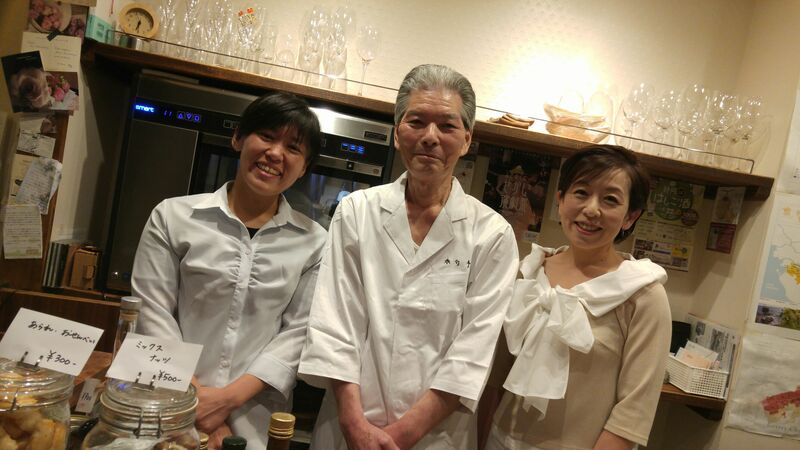 Over 16 sake-knowledgeable guests from all kinds fields participated to the event! 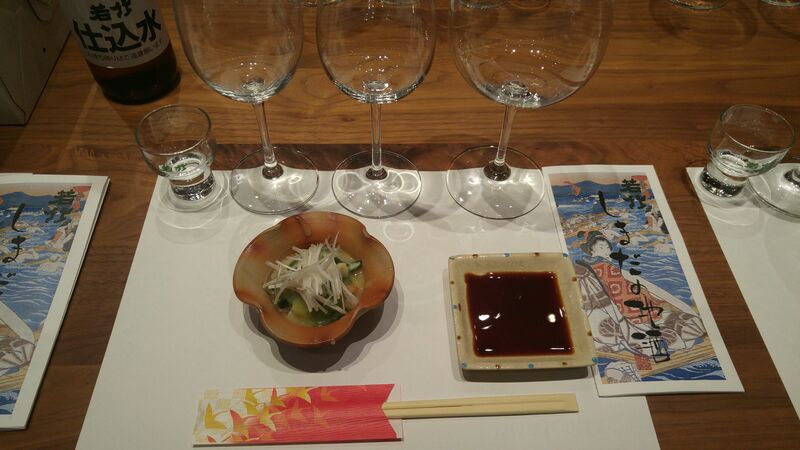 An the menu to accompany the sake was exclusively japanese-style! 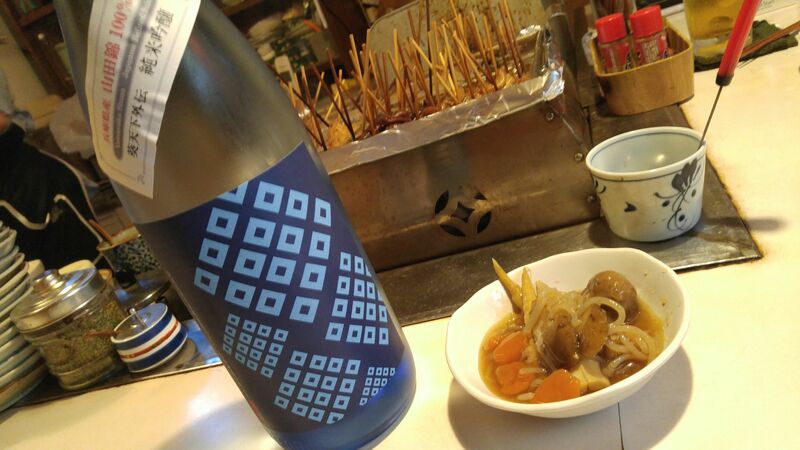 The water served came directly from Oomuraya brewery well! 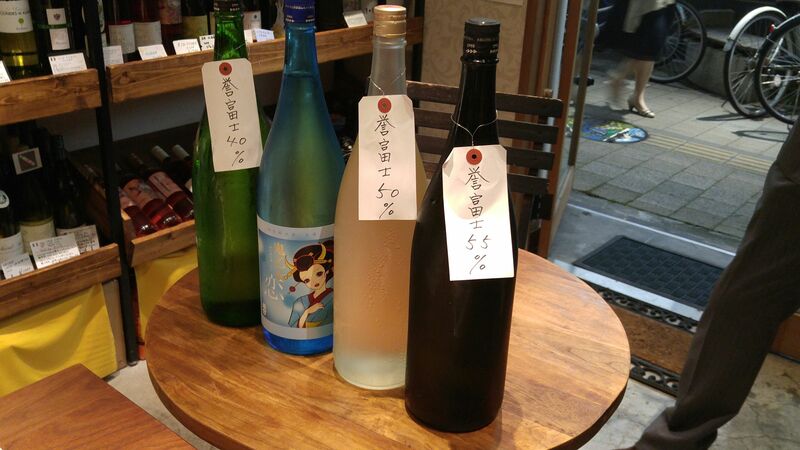 The 4 sake of the day, some still unlabeled as not yet put on the market! 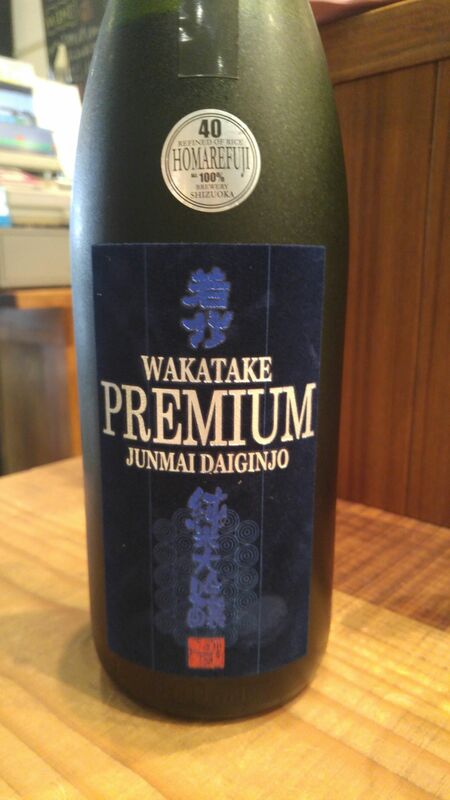 The first sake was Junmai Daiginjo Genshu which will eventually be called Wakatake Premium Junmai Daiginjo! 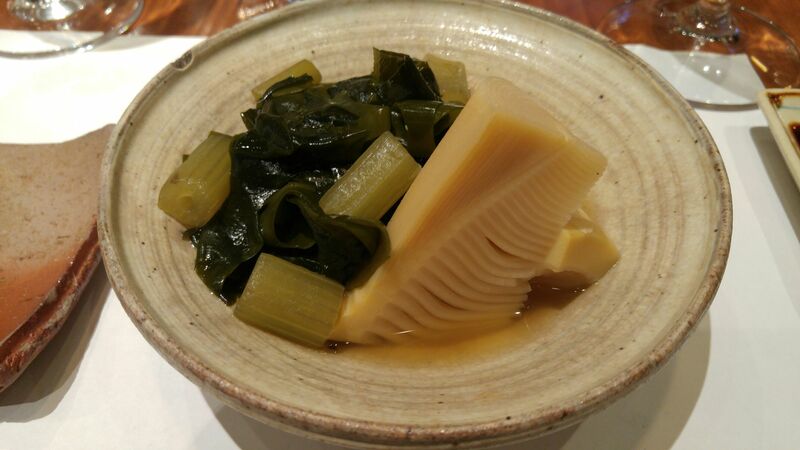 To accompany a o-toshi/appetizer made with a combination of two leeks, surf clam and “shiraga” spikenard! 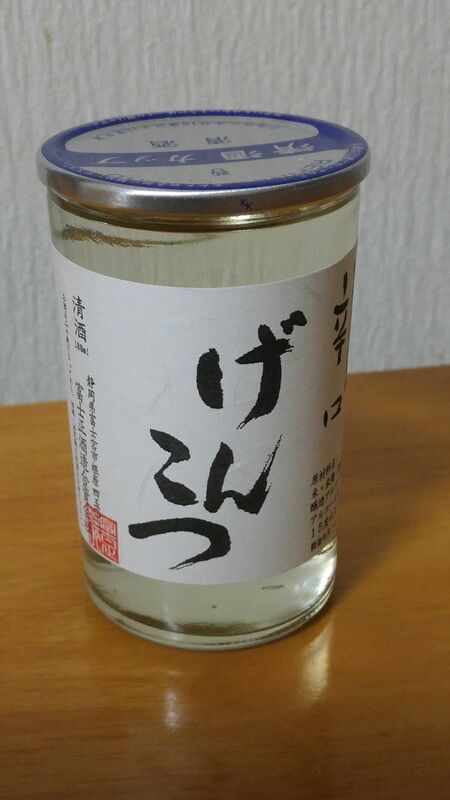 The second sake was Tokubetsu Junmai Nama called Oniotome (Summer Season greetings)! Accompanying tuna and seabream sashimi and vegetable plate! 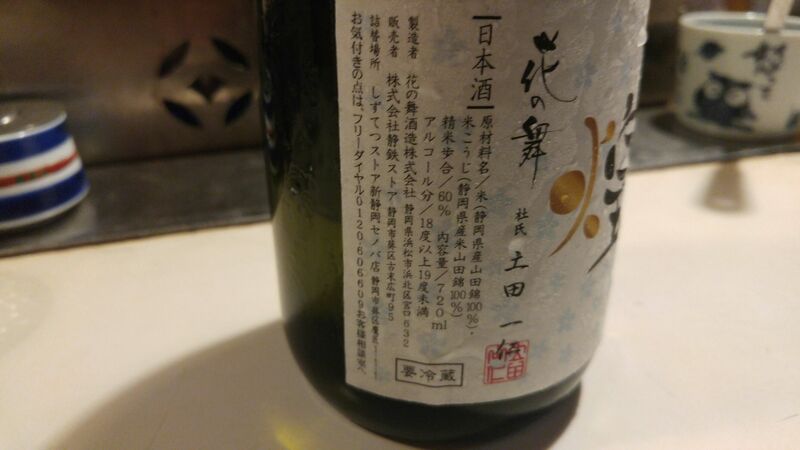 The third sake was Junmai Daiginjo called “Take no Kaze”! Accompanying simmered young bamboo shoots, sweet simmered shrimp, giant butterbur and japanese pepper sprouts! 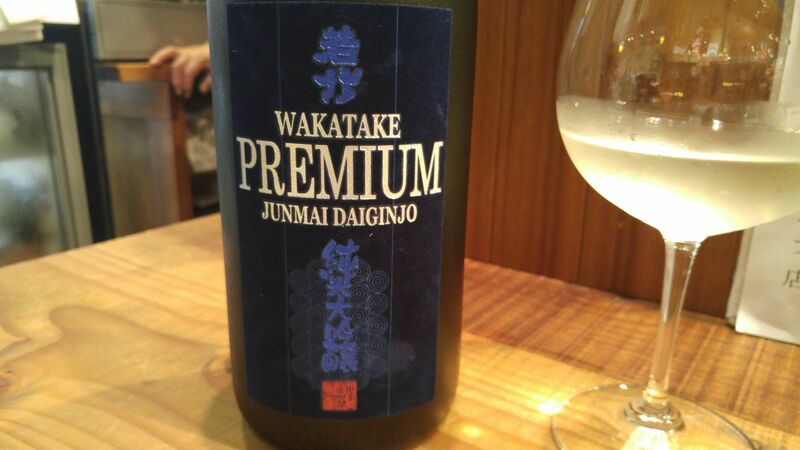 The final sake was a Junmai Ginjo eventually to be called Wakatake Junmai Ginjo! Accompanying a mixed steamed rice! 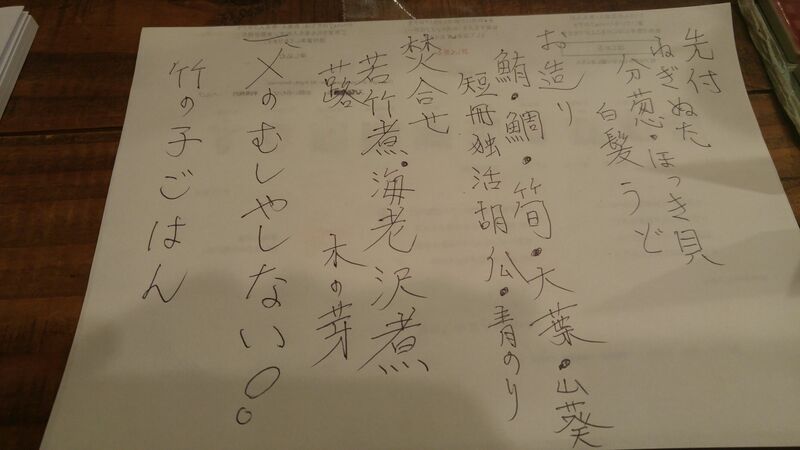 Individual tasting reports on each sake of the day coming soon! 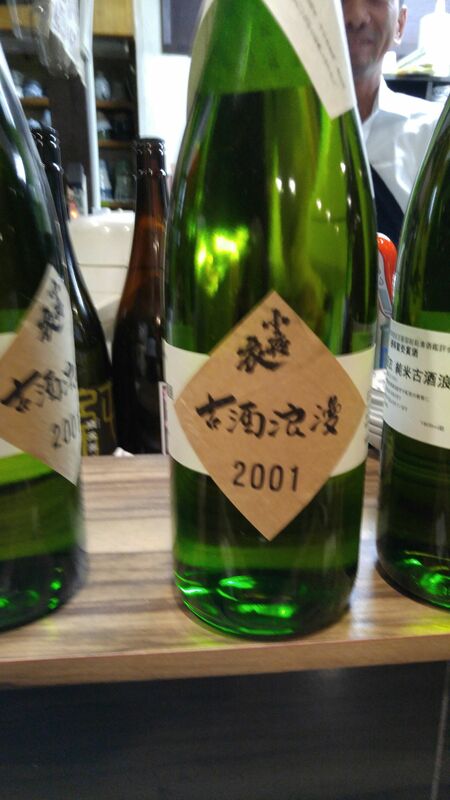 The other I was back to my favorite lair, namely Kasuri in Aoba Odengai in Shizuoka City, where I knew a fine sake was waiting for my tasting! 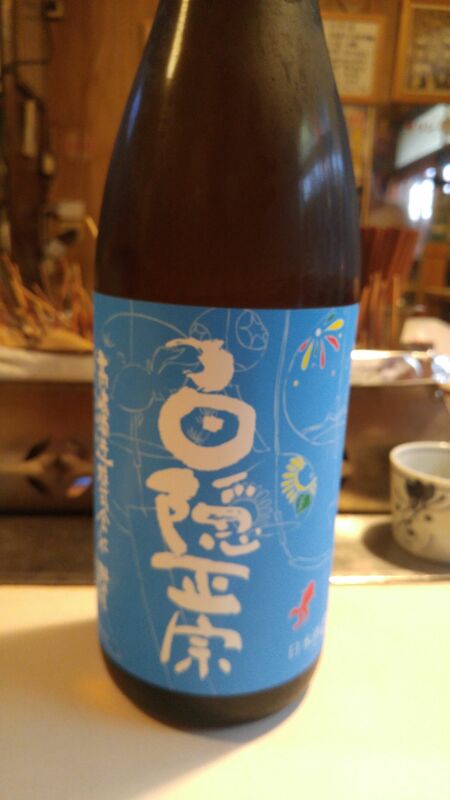 It was a nectar created by Negami Brewery in Gotemba City! 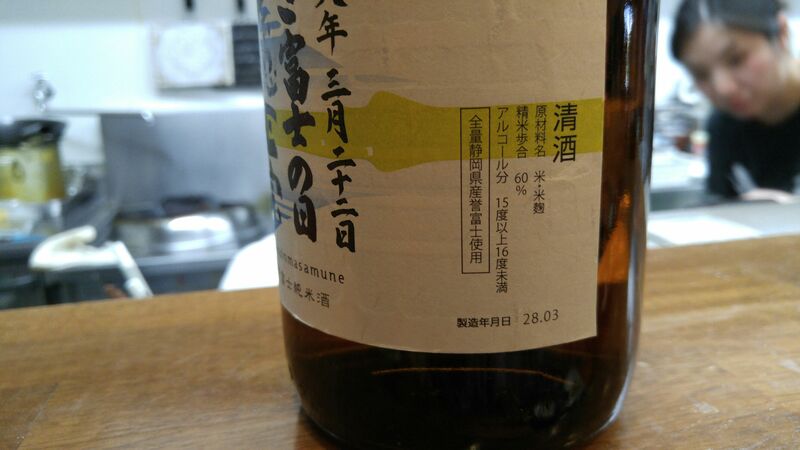 Kinmei Junmai (no pure alcohol blended in) Nama (unpasteurized) Genshu (no pure rice alcohol blended in) Shiboritate (just pressed)! 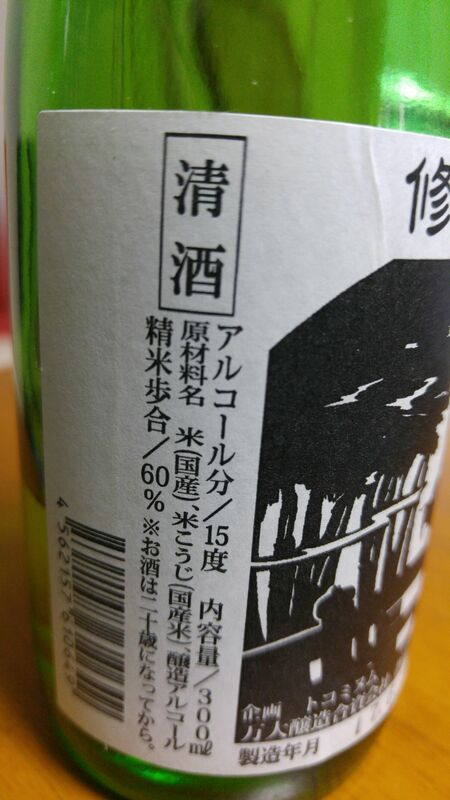 Taste: very dry and fruity attack backed up with puissant junmai petillent. Complex: pears, white flowers, melon, oranges. Lingers for a while before departing on notes of soft flowers, melon and oranges. Turns drier with food with herbs making an appearance. 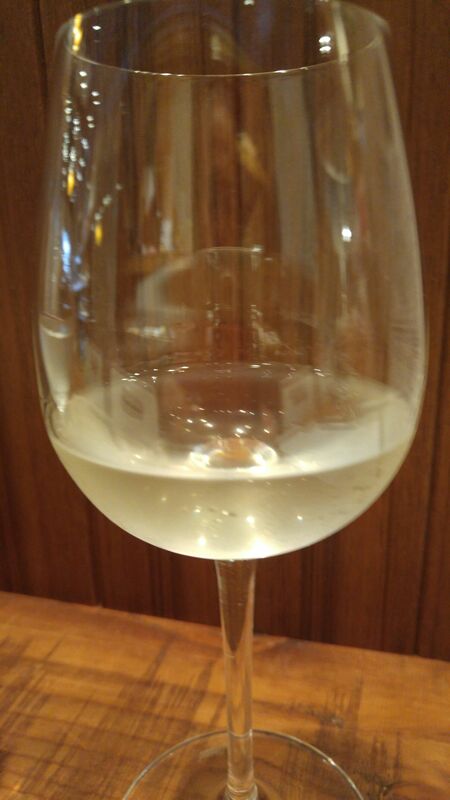 Overall: Another nectar to be enjoyed in the place of a white wine! Best appreciated on its own slightly chilled. 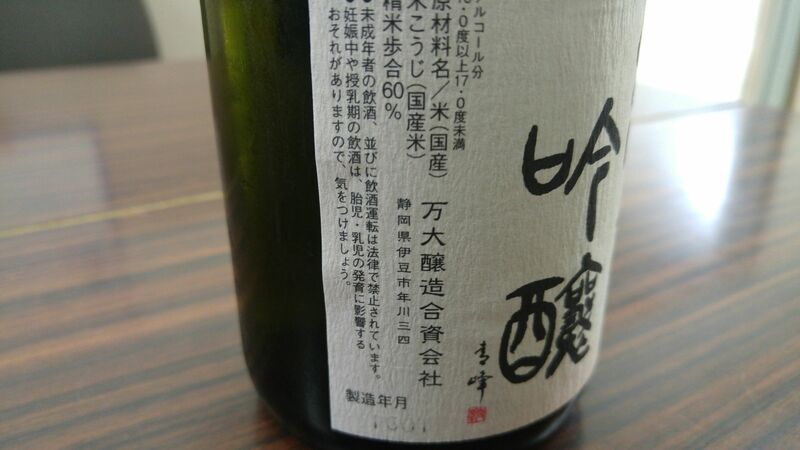 Difficult to pair with food because of its very complex character.